Colorado is a state known for its plethora of adventure opportunities. The Rocky Mountains provide the state’s residents with prime opportunities to access some of the country’s best mountains, rivers and deserts. The boating season in Colorado may be short, but when it’s good, it’s great. Beautiful blue skies, views that extend for miles, mountains in every direction and icy, cold snowmelt running down the hillsides make boating in Colorado tough to beat. There are tons of great places to live in Colorado and here are some that I feel cater the most to kayakers. Feel free to disagree, but be ready to back up your opinion! Just west of Denver lies the unlikely boater town of Golden. With a much larger population than most of the other locations that made the list, Golden definitely provides better nightlife and job opportunities. Minutes away from Clear Creek, which has anything from class III to class V as well as a great play park, Golden has boating for everyone. Due to its proximity to some major highways, Golden also has great access to other great Front Range runs within an hour drive. It’s location on the west side of Denver also means easier access and less traffic when heading west to the mountains for runs such as Gore Canyon. Golden is a great compromise for those who want to kayak, as well as have a “grown-up job” or great nightlife. 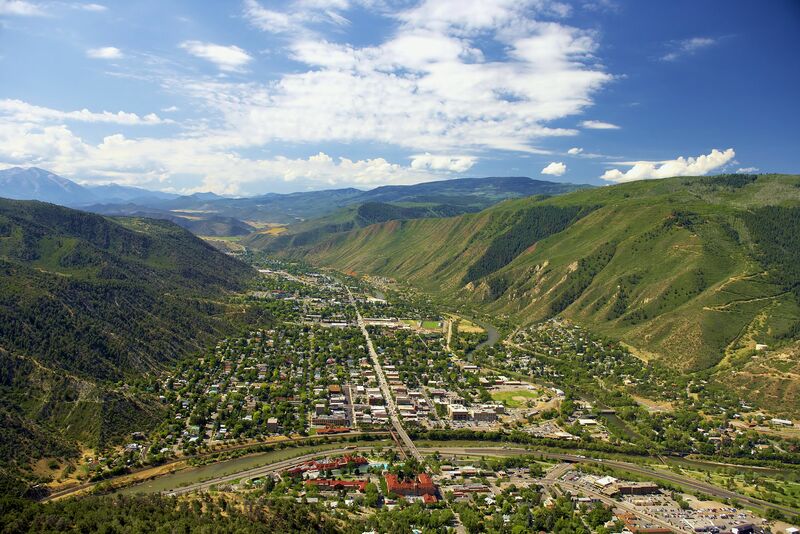 Located off I-70 at the confluence of the Roaring Fork and Colorado Rivers, Glenwood Springs is a well known tourist destination. One of the few areas in the state that offers year round boating, Glenwood also has great access to many other boating options. The play park in town is world class at high water and flows year-round, Shoshone is a great class 3 beginner or downriver play section, and Barrel Springs provides some great big water during runoff. Just up the road in Carbondale, the entire Crystal drainage can be accessed, providing some of the gnarlier boating that Colorado has to offer. The Roaring Fork is a great option for beginner’s or those looking to do some fly fishing too. To the east are some classic, manky steep creeks, such as Homestake and the Gilman Gorge section, both within about an hours drive. Thanks to the year round boating and hot spring fed water, Glenwood Springs is a great option for kayakers, in part due to its great access. Coming in at Number 3 is Gunnison. Located just south of the headwaters of the Gunnison River, Gunnison is a small, college town with lots of great boating options. In town is the Gunnison Whitewater Park, which has seen a few renovations over the past few years. At high flows, this is a can’t miss stop on a playboater’s road trip. With 3 features, great eddy access, and a group of cute college girls that always seem to be there, this park gets an A in my book. Gunnison is also close to some phenomenal class 2-4 runs for those more interested in river running. The Taylor River is a short drive and provides goods that range from easy class II to fun class IV- at higher flows on the upper section. This area is notorious for poor access, but also amazing fishing opportunities. The Gunnison Gorge is another nearby option that has a long season, and offers great downriver play and overnight options. Nearby Crested Butte (35 minute drive) offers some of the most fun and manky steep creeking in the state for those looking to huck themselves off of something, while the Black Canyon of the Gunnison provides some of the best expedition style boating in the state. Isolated in the southwest corner of the state, Durango is the class V boater’s paradise. The word on Durango is that it has class II and class V, with nothing in between. The town run on the Animas is a great beginner section or booze cruise, and finishes at the world class Durango Whitewater Park. The park has 3 features, which at high water, offer amazing play boating. Upstream of town is Pandora’s box, one of the most difficult runs in the Rocky Mountain region and the Upper Animas Section, a class IV+ to V- section with overnight options, as well as the short but sweet Rockwood Box. South Mineral Creek offers some steep park and huck near Silverton, Cascade Creek is a great intro creek run and the Cascades provide a committing, but easily accessible park and huck. Lime Creek is an adrenaline rush full of slides and waterfalls that is guaranteed to put a smile on any creek boater’s face. Durango is also home to my favorite run in the state, Vallecito Creek, which is beautiful, fun, committing, and easy to lap after work. Durango is also close to the Piedra and San Juan drainages, which offer a variety of good boating as well. I honestly don’t think that any other town has a claim to the top spot on this list. At the top of the valley is Lake Creek, a run that can put fear into even the best of boaters at most flows, but also offers a great scenic, class 4+ upper section. The next drainage down valley is Clear Creek. This run is short, sweet, continuous and cold. Laps take 10 minutes if you know the lines and are easy to pull off after work. Bring the shuttle bunny for this one. Further down is Pine Creek and Numbers, a section that is good at flows anywhere from 200 to over 4,000 cfs. The run can be a variety of characters, from creeky at low flows, playful at medium flows, to big water at higher flows. This is a classic run with great access, numerous lines and it is easy to run after work. BV paddlers could not ask for a better backyard run. Right in town is a great play park that runs for much of the season with 5 features, each offering something for everyone. Brown’s Canyon is just a short drive down stream and offers great scenery and easy whitewater for intermediate paddlers. Don’t even get me started on access either. BV is literally no more than 2 hours away from just about anywhere in the state as far as boating goes. Gore, Bailey, Crested Butte creeks, Slaughterhouse, Homestake, Clear Creek, the Taylor, the Royal Gorge as well as a few hours are all within reasonable driving range. Move to BV. Seriously, do it. You will not regret it as a kayaker. Located just down stream of the Poudre Canyon, Fort Collins is a smaller city with great nightlife, job opportunities and other non-boating outdoor activities. Up the Poudre is boating that ranges from class I to V, capped off with the Wild and Scenic Big South Fork. Access to other areas is not the best, but the Poudre offers some amazing boating that typically has a season that extends into August. Bigger and warmer than BV, Salida is just 25 miles south, giving paddlers many of the same opportunities, with a better housing and job market. An hour from the Royal Gorge, an hour from the Numbers and an hour and a half to Gunnison, Salida is a better home for a play boater these days, but offers great views, good access, and great mountain biking for the off season. That is a fair point. Both of those towns are great too!